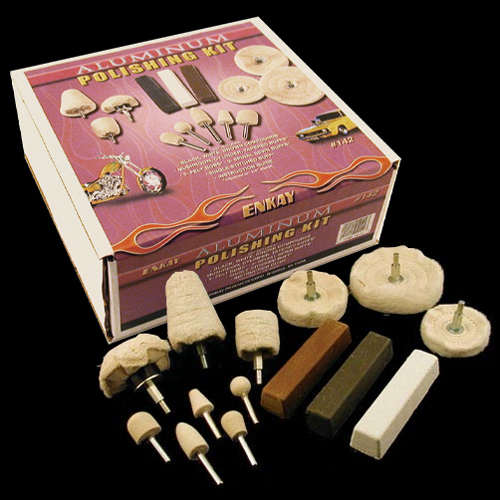 This kit is perfect for polishing any type of aluminum including Billet. The most popular applications for this kit is on aluminum and Billet aluminum rims and accessories on cars and bikes. For use with any standard electric drill.